EWA Travels: Tokyo — EWA Travel, Inc. Working in the travel industry, it’s only natural that each EWA Travel employee is a globetrotter at heart. This month alone, we’ve had several employees branch off, immersing themselves in the culture of a new country. Our very own Director of Social Media and Marketing, Katlyn Pierre, recently returned from a trip to Japan. She spent 8 days, exploring, eating and enriching her knowledge of the culture that is so distinct from that of the United States. Japan’s differences don’t end merely at the language or the fact that they drive on the left side of the street. The way the citizens of Japan dress, communicate and behave is strikingly different from that of the United States. For one, Japan is one of the safest countries in the world. Japan was ranked as the third most peaceful countries in the world in the 2010 Global Peace Index (GPI), compiled by the Institute for Economics and Peace (IEP). While there are more dangerous areas in the country, there’s a good chance that if you leave your wallet somewhere, you’ll find it right where you left it. In fact, Katlyn was able to experience it first-hand during her time there. In terms of business etiquette, things in Japan are a bit different. For example, while it may be second nature to put someone’s business card in your wallet or back pocket, in Japan, that would be considered a major faux pas. When presented with a business card, be sure to accept it with both hands, briefly read it and place it into a business card holder or on the table. Also, age is highly revered in society and it should be taken into the consideration whilst in a meeting or greeting executives. Be sure greet the most senior person prior to greeting others. As for clothing, it’s important to make note of the unspoken dress code. While here in the United States may be more forgiving, in terms of jewelry and heels, Japanese meetings can be a bit different. Women should keep jewelry to a minimum and forgo high heels if it may result in being taller than their male Japanese counterpart. It’s important to wear conservative items of clothing to blend in with the group. Overall, Japan is a beautiful country, with a rich culture that has trickled down from generation to generation. If your organization has the opportunity to visit the Japanese archipelago, remember these few tips to help you out while visiting. 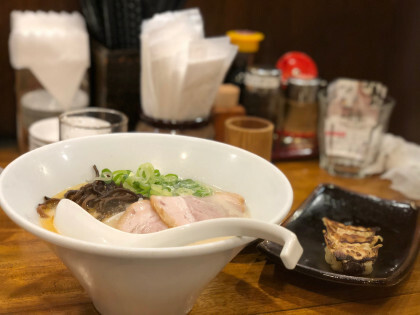 If going for leisure, make time to visit some of Katlyn's favorite places: the Shin-Yokohama Raumen Museum, Asukasa, Takeshita Street and the Tsukiji Fish Market.